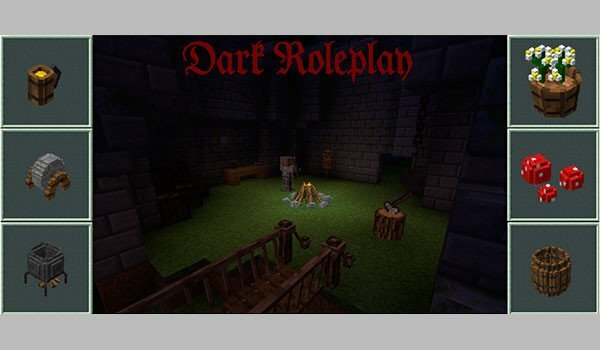 Dark Roleplay 1.12.2 and 1.11.2 is a mod that convert Minecraft in a RPG world, through several new objects and functionalities that in some cases slightly changed the mechanics of Minecraft. For example through a new system of cooking, which therefore also added new food and drink recipes. Among the new items are strings, hanging wooden bridges, new pots, hooks, grindstone, barrels, training mannequins, campfires and three new types of cubes. Besides these new objects are well suited to the graphic line of the game, so in tune with the rest of predefined content Minecraft. How to install Dark Roleplay Mod for Minecraft 1.12.2 and 1.11.2? ¡We have it up and running!